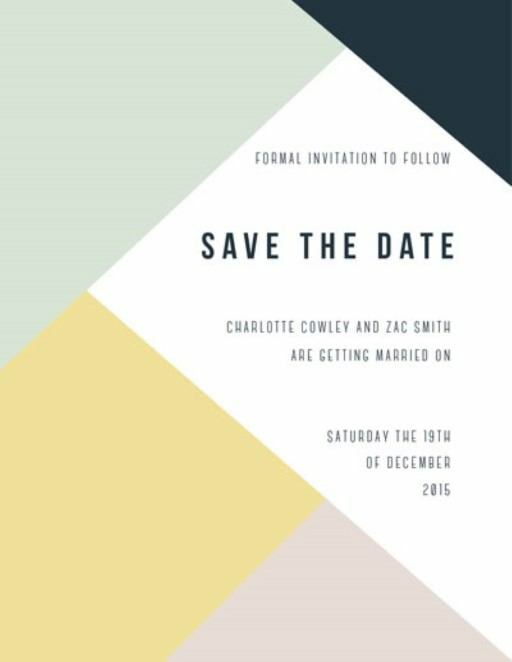 This save the date card is part of a modern wedding invitations set, ‘Tessellate’ from Amelia Stevens. 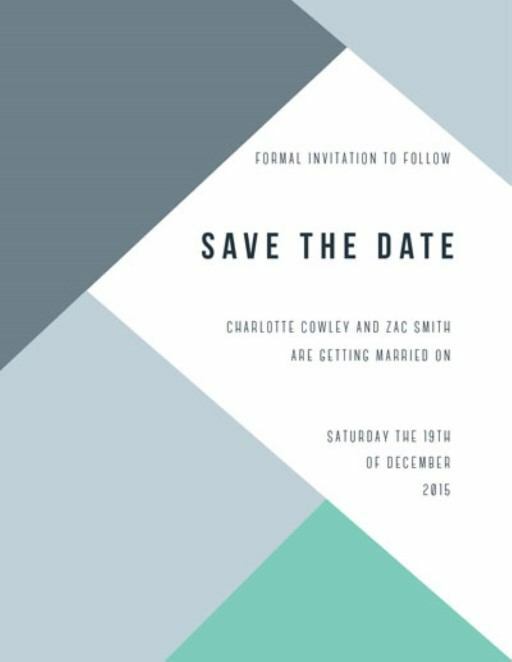 The geometric feature gives the wedding invitation set a modern charm, with shades of blue, green and cream to soften the lines. This set also extends to menus, programs, thank you cards and name cards. 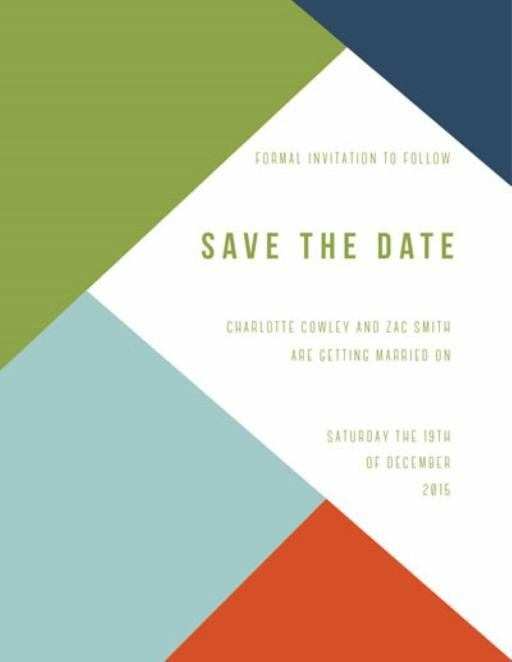 The design comes in three different colour pallets, each adding a unique impression on these wedding invitations; pastel, mint and green. 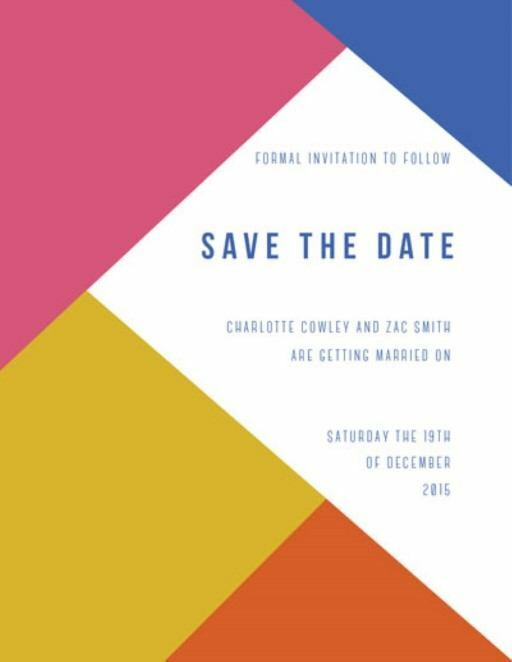 A fun set for the fashion forward couple. This design is available as a digital print only. Designer has gone out of the box while creating this card. 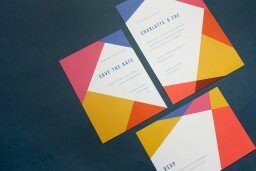 I how how this card is making a bold and lively statement with geometric prints. It is a fun filled card which everyone will surely remember for a long time.